October 3rd is a date that brings new knowledge, one about things that we cannot yet explain, and expands our vision to see the depth of issues in our lives. It is time of greater thoughts and vision when manifestation should come as we learn to use what we’ve been given. No matter the hardships in their life, Libras born on this date are to use their blessings and ordeals and grow out of their insecurities. 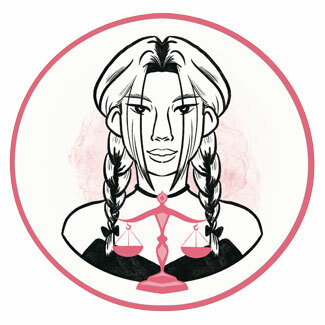 What makes Libras born on the 3rd October special is what they often fail to see as special in the first place. They will feel connected with the Universe, and Higher support will guard their back at hard times, but expectations could tear them down if they aren’t set on a realistic approach to relationships and other people. Their strength is found in their vision and their ability to see what the road ahead of them holds, for they are focused and proactive, able to use their resources well when they aren’t insecure about their abilities. They are meant to believe in themselves first and accept the most difficult of circumstances with their true purpose, to be able to rely on all those blessings that have been sent their way. "Having Passed Through Narrow Rapids, a Canoe Reaches Calm Waters"
This symbol is a wonderful depiction of lives of those born on this date. It speaks of places and distances they are meant to go to, once they swim out and move through their struggles with bravery and dedication. Many things will reflect on this theme, and no matter the area of life they wish to empower and make better, they will have to go though some rapids to reach the point of satisfaction and true freedom. To make things easier, they are to push through and see their true strength. Only when they realize how much they can do will they be able to relax and let go to the easy flow with faith in life itself. With acceptance and true support of the Universe being their guiding light, those born on October 3rd have a task to meet their struggles head on, plan ahead, and set goals they won’t give up on. They are to live in the moment instead of projecting too far in the future or holding on to past issues that should be left behind. Structure they will build along the way will make them ambitious and serve as a solid foundation for any future steps they wish to take. All they need is a strong back that will carry them through and a lot of righteous maneuvers that make them feel good in their own skin. To get to their destination, their boundaries are to be set in place, so they can protect themselves from taking on too much responsibility that isn’t really their own. Hearts of people born on October 3rd are large and filled with hope for better times that are yet to come. If they stumble upon a partner to take this light away and keep them tied to restrictions they don’t feel are in place, they could get depressed and give up on their own strengths and talents. It is important that they hold on to their own inner world and their set of beliefs until they find just the right person to let in, or their fragile nature might get overburdened and pushed into negative beliefs that don’t allow them to openly connect. A bit torn between seriousness of their approach to relating and their need to have some fun and prove to themselves that they can win someone's heart over, they could get entangled in parallel bonds and strange choices that don’t really fit their emotional world. To nurture what's within, they must build a foundation of character and allow themselves to stay open for the fact that the right person will wait for them when they are done with the greatest challenges they have to face to reach the point of self-recognition. 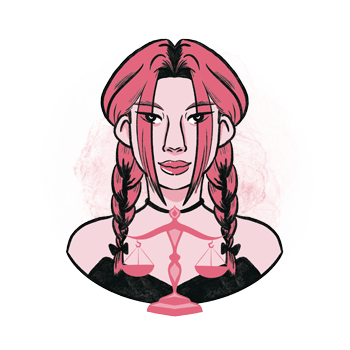 A Libra born on October 3rd is an excellent teacher and an even better student, but only when they choose the right direction that feels true to their authentic needs. They shouldn’t listen to advice of others for their choice of college or any higher education, leaving room for their visionary within to blossom. They will be the ones to spread knowledge, bring others at ease, and give selflessly to those in need. They work best on their own, or for foreign companies, and under those who are educated, wide, and open for travel and movement, needing open space and as little closed doors as possible. Ulexite is a fine crystal for those born on October 3rd to work with. Good in meditation, and helping their pure state of vision, it will enable them to talk to higher realms in their own way and without interference from others. Boosting imagination and pointing them in directions where doors are open for them to go through, it will help them set free from any obsolete fences and limitations of ego and relationships that haven’t been supportive of their authentic personality. Assisting them to read other people's minds and frailties, it will aid the process of self-recognition needed to move forwards from stagnant positions in life. The best birthday gift for someone born on the 3rd of October is a plane ticket to a distant land. They wish to stay on the move, to travel, and change their perspective as often as possible. To gather all the right information and knowledge, you should help them with literature that isn’t restrictive of imagination and it is good to choose a book or a movie with several different endings. Take them to a public lecture where attending people are wide and different from their common circle of friends. Show them that there are different ways they can live their everyday life if they are troubled and shoved aside by authority figures or members of their family. Openminded, travelers and teachers, they are those who are willing to share and give what they own to those in need. They are able to see weaknesses and strengths in others and find their mission in life to be truly satisfying once they find the right direction to move in. Impractical and lost in convictions of others, they easily gather toxins in their body and heart and need enough time in solitude to remember their inner truth. When they get lost, they become stiff and obsessed with their inability to get where they wanted to go. In 1951 Kathryn D. Sullivan was born, an American geologist, astronaut and the first American woman to walk in space. Prior to this extreme expansion of her personal space, she participated in several expeditions that studied the floors of the Atlantic and Pacific Oceans. In 1964 Clive Owen was born, an English actor known for his roles in Closer, Derailed and Children of Men. He describes his childhood as "rough" and has been estranged from his father since he left the family when he was only three years old. In 1969 Gwen Stefani was born, an American singer, songwriter, actress and fashion designer, who rose to fame as the lead vocalist of the band No Doubt. She found her failed romance to be the source of inspiration for songs that made her famous such as "Don’t Speak" and "Hey You!". 1789 – The first Thanksgiving Day is designated by the government of the United States. 1849 – Edgar Allan Poe (born on January 19th) is seen in public for the last time before his death, in a delirious state in a gutter. 1872 – The first store by the Bloomingdale brothers is opened in NYC. 1919 – The first time that a Latin player appears in a World Series. 1942 – The first man-made object reaches space. 1985 – The maiden flight of the Space Shuttle Atlantis.